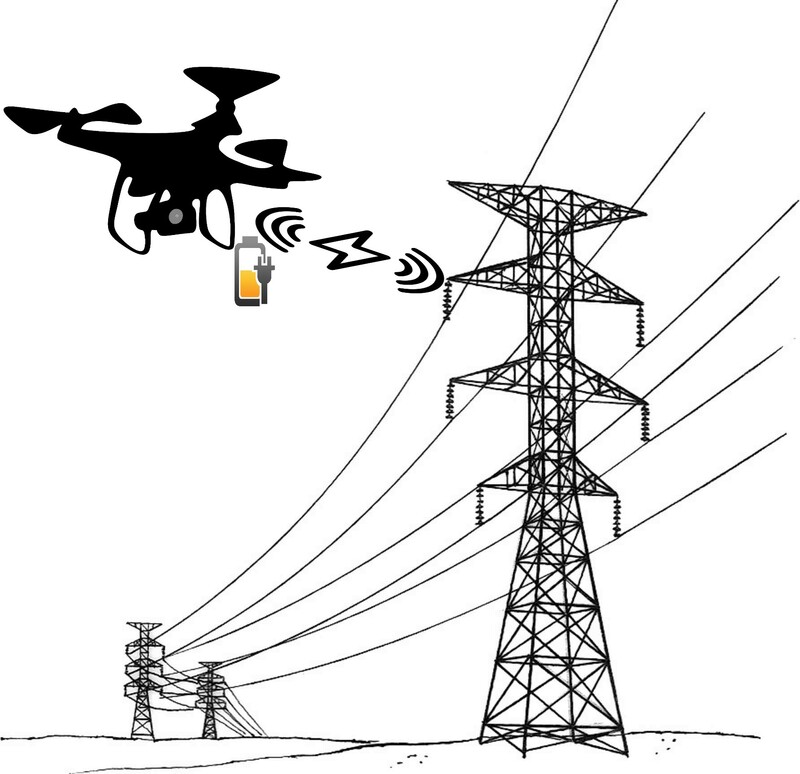 Since the early development of drones, there has always been a major shortcoming, battery power. 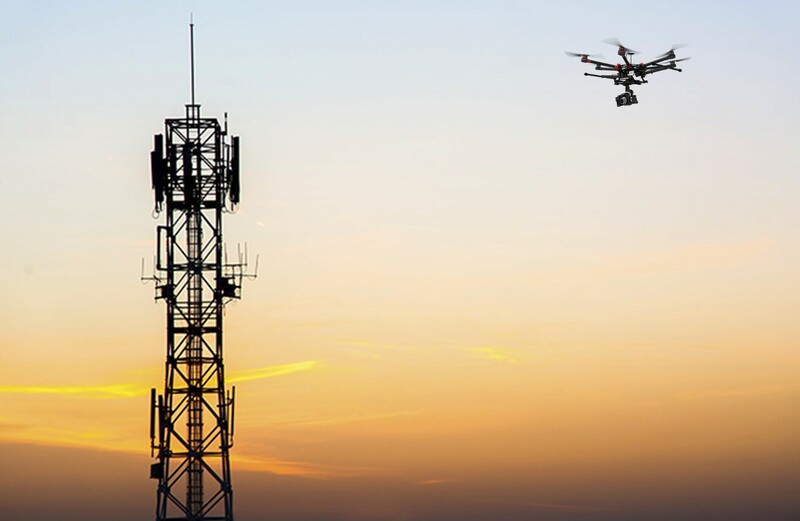 Most efficient drones can achieve 30 minutes flight time in the best conditions. This may hamper potential applications where drones operate for longer duration. Wireless power transfer is more known for its use over short distance and for charging mobile devices. It has always been assumed that this technology is not suitable for drones. 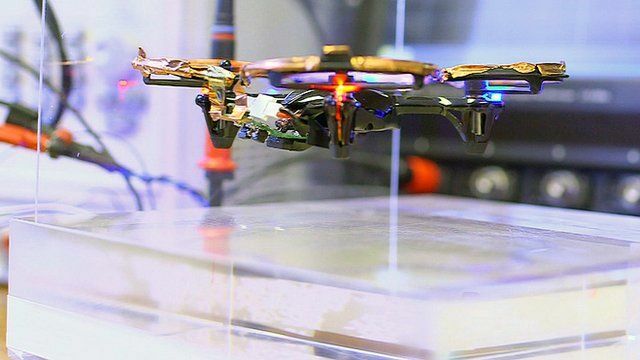 In 2016, researchers at 'Imperial College London' have successfully demonstrated a prototype of a flying drone without battery. The drone gets the power wirelessly from a power transfer pad. The latter can cover much larger distance than what usually mobile phone wireless chargers cover. Beside the fast that the developed prototype do not fly very high and can not go so far, coupling this ability with the drone's on-board battery would provide more flexibility and open new plethora of applications and services. Wireless power transfer technology has more evolved. Nowadays it is even possible to charge drone's battery in the fight. 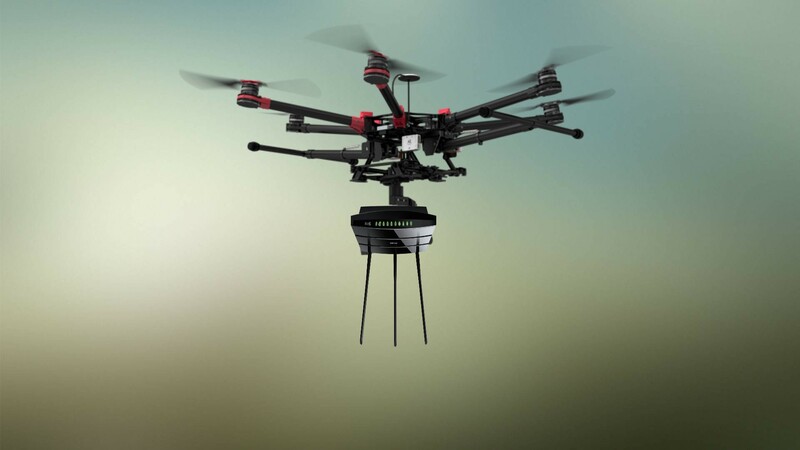 Companies as GETcorp developed power transmission cord that can power industrial drones with a range of many meters. 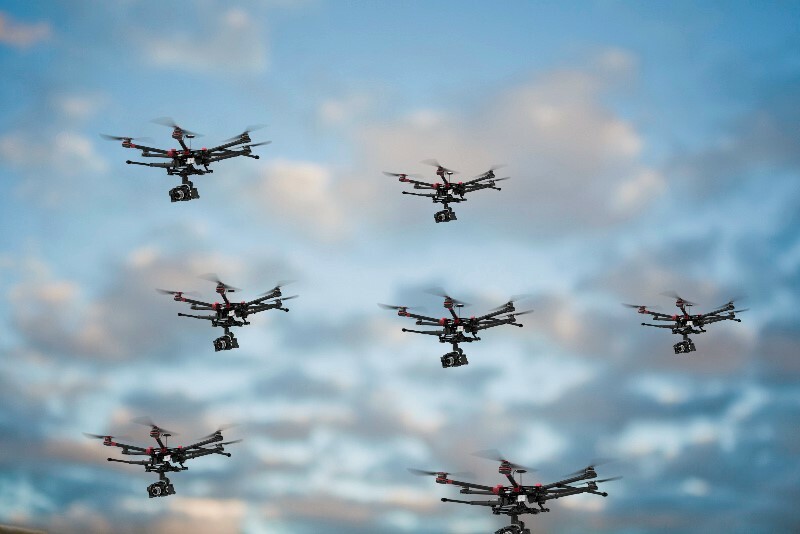 This means that many drones can be charged in the same time while they still operating in the air. In addition, fast charging technology allows the charging operation to be faster than the discharging (GETcorp reports that only 6 minutes charging for 25 minutes flight). 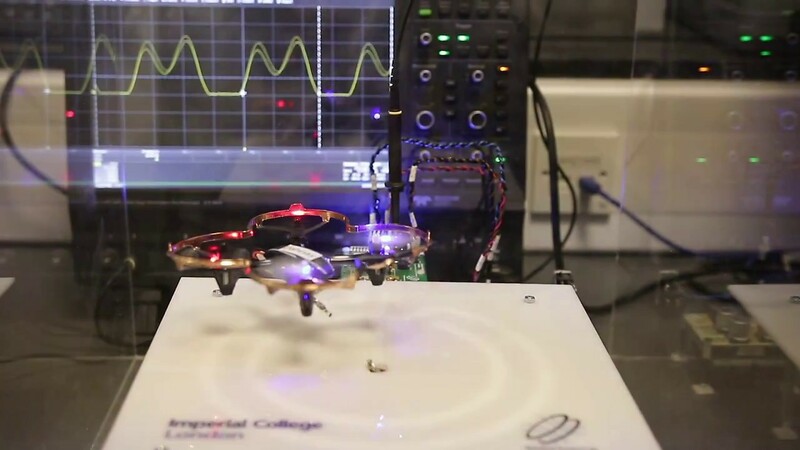 Deploying such technology in different areas would enable the creation of a wireless power charging network that could allow flying drones forever.